Many gardeners have shrubs and small trees in need of pruning but hold off for fear of damaging an established plant. 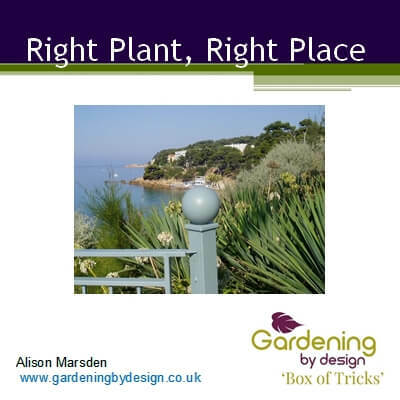 This topic explains the reasons for pruning and describes when and what to do. 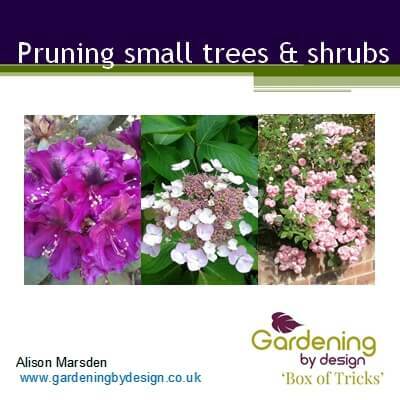 Pruning small trees and shrubs answers the fundamental questions of Why we want to prune and How plants react, looks at the practicalities of pruning to shape and maintain small trees and shrubs and describes ways of renovating overgrown or neglected plants. 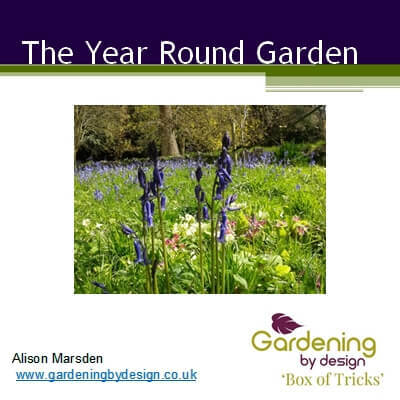 You get approximately an hour of material, split across three videos so that you can watch in easy to manage sections and get out into the garden in between to make the most of the information. There are plenty of photographs, diagrams, examples and summaries to help you get to grips with the topic and even a few questions for you to answer (out loud if you are feeling brave!). Watch this two minute introduction for a taste of this Topic.